LEFFERTY (Lafferty), JOHN JOHNSTON (Johnson), doctor and politician; b. c. 1777 in the American colonies, probably in New Jersey; m. 17 Aug. 1800 Mary Johnson, and they had four sons and three daughters; d. 26 Oct. 1842 in Drummondville, Upper Canada. John Johnston Lefferty seems to have been the son of Bryan Lefferty, a lawyer and judge of Somerset County, N.J., who was connected to the family of Sir William Johnson*. 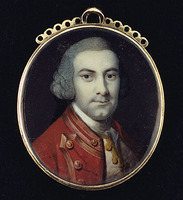 John Johnston came to Upper Canada in 1797, settling in the Niagara peninsula where he practised medicine. 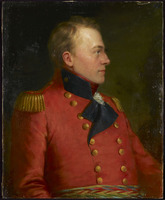 The following year his godfather, Sir John Johnson*, wrote to William Claus* from Lachine asking to find out “in What Manner I can Serve him [Lefferty]. . . . If he will send me a list of Medicines Suitable for his practice, I will send it home, and get it out for him.” During the War of 1812 Lefferty served as assistant surgeon of militia; he lost his home at Lundy’s Lane (Niagara Falls) when it was burnt by American troops. 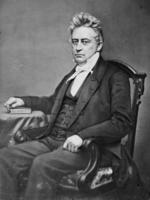 Yet, as Lefferty himself noted, his attacks on the administration were largely confined to two issues. On a number of political points, he sharply disagreed with other critics of the executive. He did not object to the custom of sheriffs’ selecting grand jurors, a stance which earned him a sharp attack from Peter Perry*. He supported the marriage bill of 1826 which allowed Methodists and other denominations the right to perform marriages; however, the next year he would denounce an apparently similar measure. He repeatedly clashed with Perry, Rolph, and Bidwell over their opposition to tough legislation for handling the problem of absconding debtors. His concern in this instance may have reflected his own experience as a doctor. He called Perry’s bill to introduce statute labour for absentee landowners “perfectly absurd,” since £4,000 worth of wild lands would oblige an owner to provide 160 days of labour. Furthermore, as Lefferty gained parliamentary experience, he came to consider as wasted effort time spent on popular bills which, to his mind, would only be rejected by the Legislative Council. 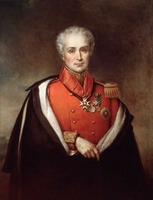 Despite these problems with his fellow critics of the Maitland régime, Lefferty joined in the opposition’s furore over the dismissal in 1828 of judge John Walpole Willis*. 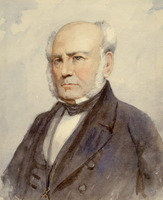 Lefferty’s most notable parliamentary initiative came at the close of his career. 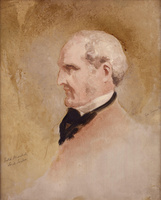 Early in 1830 he introduced a bill empowering magistrates to enforce observance of the Sabbath. He denounced such varied activities as shooting and skating on the Lord’s Day, adding: “It was a common thing, too, for persons to leave their work, and assemble at grog-shops on Saturday night and drink and carouse until the next night, and thus, not only disregard the Sabbath, but render themselves unfit to attend to business on Monday, or perhaps through the week. In this way, it was an injury, not only to the morals, but also to the industry of the country.” In the course of debate he went even further than the intention of his bill, observing that he thought “people ought to be obliged to attend public worship somewhere on the Sabbath.” This statement provoked a strong reaction not only from fellow legislators but also from at least one newspaper and its correspondents. AO, MS 74, John Clark to William Chisholm, 26 Jan. 1826; MS 78, Robert Stanton to John Macaulay, 29 Jan. 1826, 6 Feb. 1835. MTRL, W. W. Baldwin papers, B. C. Beardsley to Baldwin, 1 Aug. 1828. John Clark, “Memoirs of Colonel John Clark, of Port Dalhousie, C.W.,” OH, 7 (1906): 157–93. 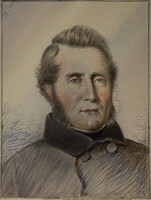 Canadian Freeman, 1 Dec. 1825. Christian Guardian, 12 Dec. 1829, 27 Nov. 1830. Colonial Advocate, 8 July 1824, 29 Dec. 1825, 4 Jan. 1827, 1 Feb. 1828. Kingston Chronicle, 4 Jan. 1826, 9 Feb. 1827. Patriot (Toronto), 3, 6, 19 Feb. 1835. Upper Canada Herald, 9, 16 Jan. 1827; 12 Feb., 18 March 1828; 20, 27 Jan., 10 Feb., 17 March 1830. Armstrong, Handbook of Upper Canadian chronology (1967). “1828 Upper Canada election results table,” comp. R. S. Sorrell, OH, 63 (1971): 67–69. Canniff, Medical profession in U.C. Ernest Green, “John DeCou, pioneer,” OH, 22 (1925): 92–116. Peter A. Russell, “LEFFERTY, JOHN JOHNSTON,” in Dictionary of Canadian Biography, vol. 7, University of Toronto/Université Laval, 2003–, accessed April 25, 2019, http://www.biographi.ca/en/bio/lefferty_john_johnston_7E.html.